I’m sure you can all guess what the follow up post to this will be! First of all, as usual, making your own is way cheaper beyond cheap. PLUS it’s fresh which makes it that much better. I used some lemon infused garlic I had in the freezer that the awesome neighbors gave us a while back, but if you don’t happen to have neighbors as wonderful, some minced garlic with a squeeze of lemon will do just fine. Remember to subscribe to get email updates when I post! 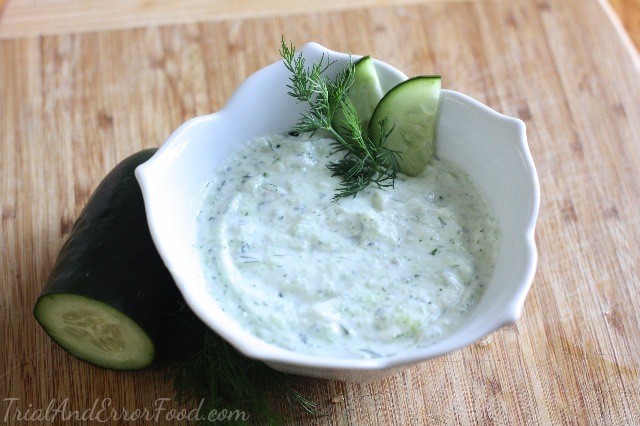 You’ll need fresh dill, a cucumber, greek yogurt (I used non-fat and it worked great), fresh mint, lemon garlic, olive oil, and salt. Oh weird!! 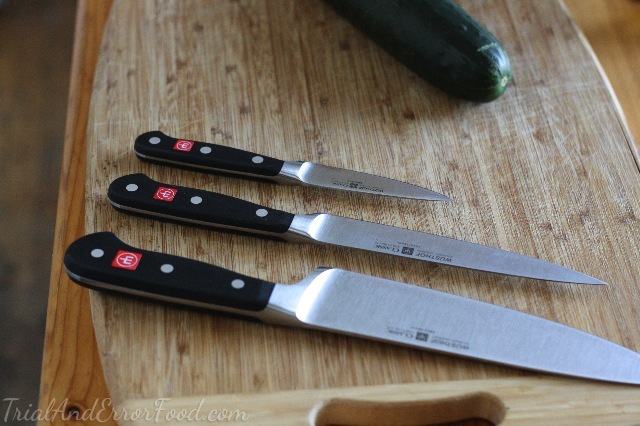 How did that picture of my new beautiful knives get in here!?? How peculiar! Oh, that’s right, food. 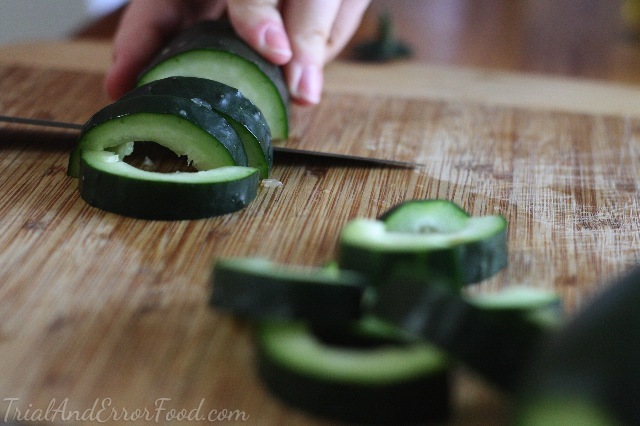 Anywho, halve and quarter your cucumbers. You’ll only need to use half of one in this recipe so you can go ahead and much on the other side. 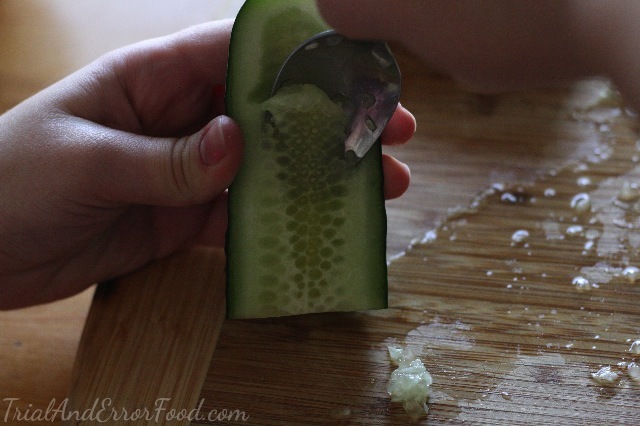 Using a spoon, scoop out the watery seeds. 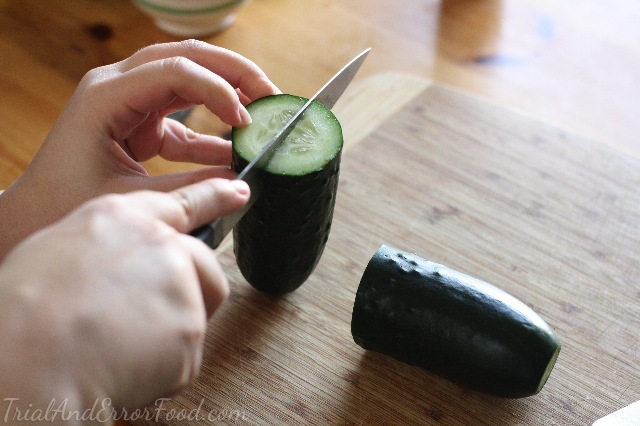 And chop the cucumber into smaller chunks. 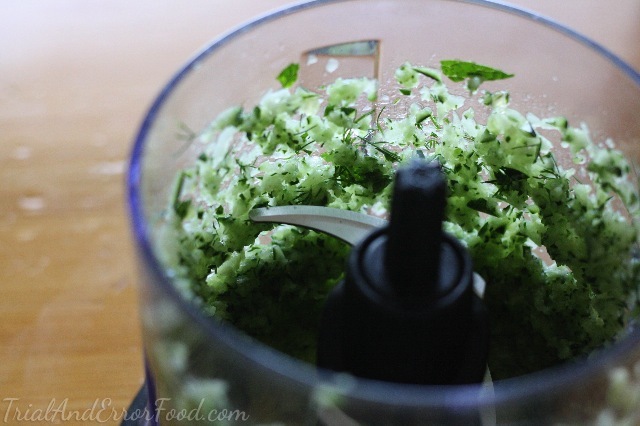 Throw ‘em in your food processor or blender along with a couple sprigs of fresh dill. 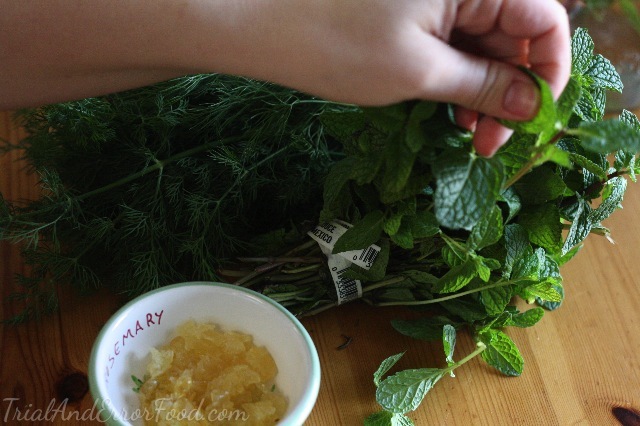 Toss in a couple mint leaves. 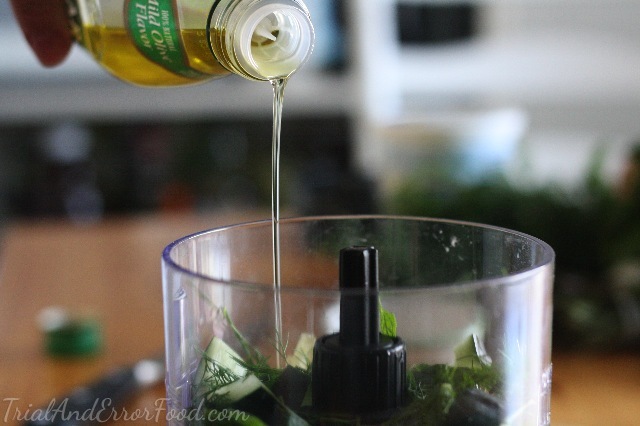 Drizzle in some olive oil (as you can see, this recipe is horribly exact and if you mess up at all the entire thing is ruined). And if you’re me, use your freaky-deaky looking hands to secure the lid and blend. Or if you’re anyone else, just blend. That right there, that alone is delicious. 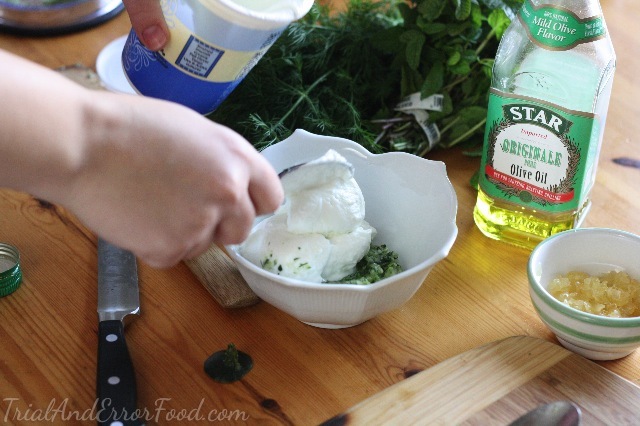 Kat has a slight aversion to dairy, and she used this as her tzatziki and it was incredible even without the creamy yogurt. Give it a shot. It’s like a super light refreshing not spicy at all salsa. So basically it’s nothing like a salsa but whatever. 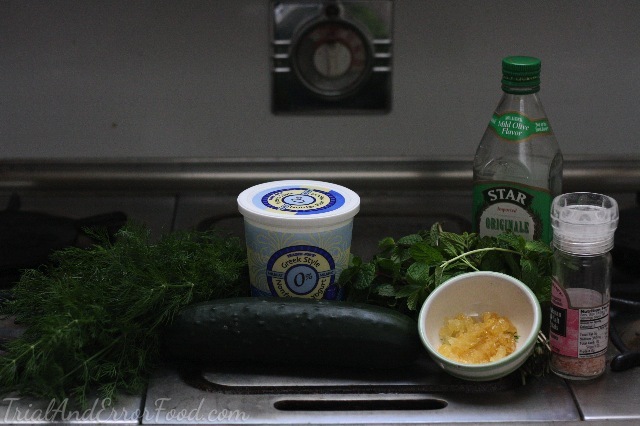 And add in desired amount of yogurt and mix well. 1. 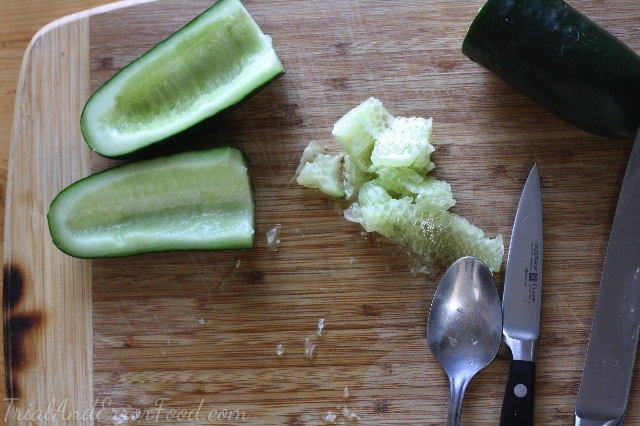 Quarter cucumber and use a spoon to scoop the seeds out. 2. 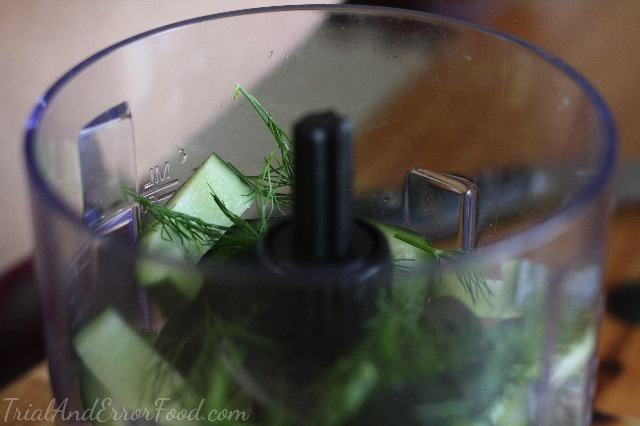 Chop cucumber into smaller chunks and add to blender or food processor. 3. 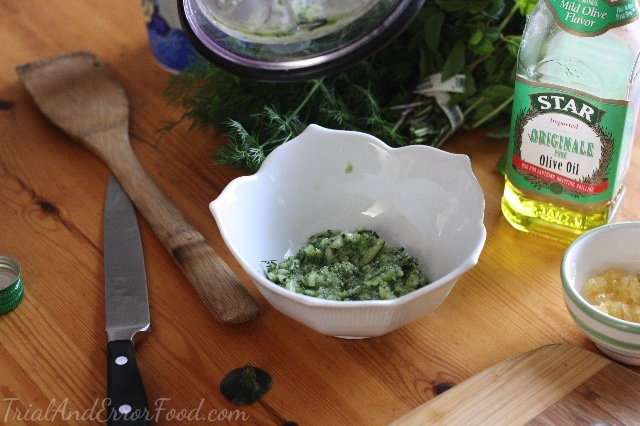 Add garlic, mint and dill. 4. Drizzle in olive oil and salt. 5. 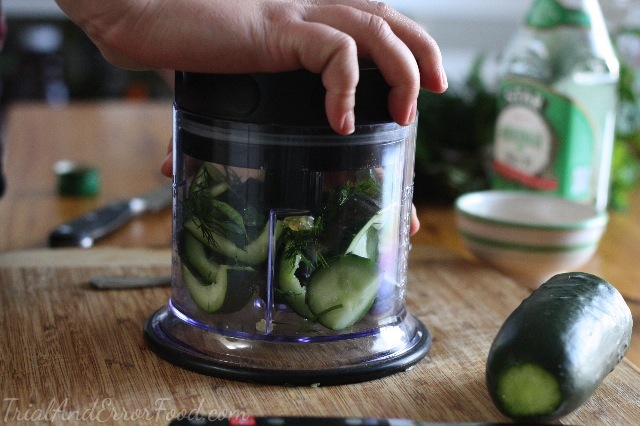 Blend until the chunks of cucumber are small but not too fine. 6. 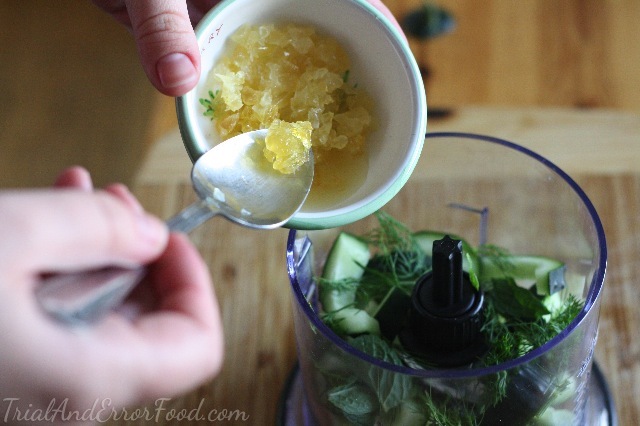 Scoop into a bowl and mix in yogurt. You have a wonderful blog and beautiful representation as well. This recipe looks whimsical.i can’t wait to try this. Hey thanks! Let me know if you try it and what you think.